Small but beautiful, the food capital of Cornwall should be on everyone’s bucket list. Here are our tips for things to do (and eat) in Padstow. The transformation of a tiny fishing port on north Cornwall’s Atlantic coast into one of the UK’s top destinations for food and drink is one of gastronomy’s remarkable stories. 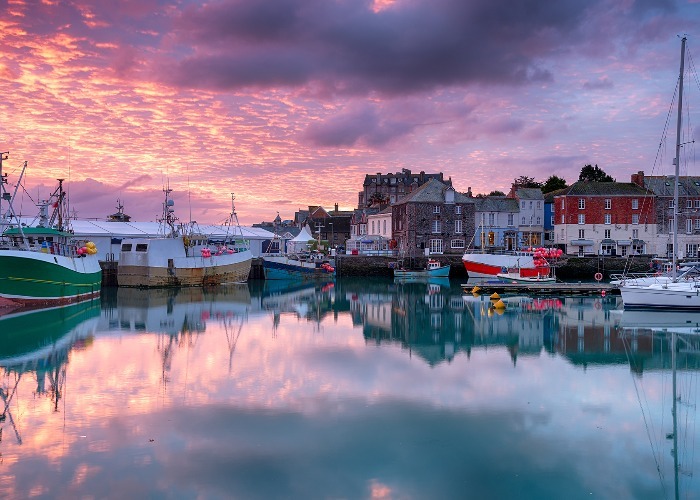 Padstow’s success is usually attributed to one man: Rick Stein, the chef, restaurateur and TV presenter who opened his first restaurant here in 1975. As his food empire grew, other top British chefs were drawn here by the availability of high-quality ingredients, which in turn encouraged independent food businesses and the town to thrive. Get there: Drive and take the park-and-ride into the bustling town centre. Better still, use public transport: fly to Newquay airport then bus #56 to Padstow, or take the train to Bodmin and bus #11A. Check into: The Old Custom House Inn, a boutique hotel right on the quay in the culinary heart of the town. 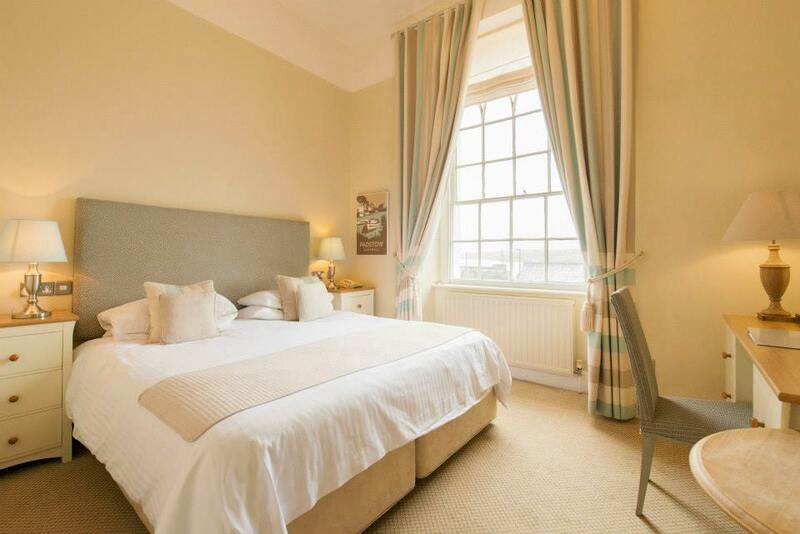 Nonetheless, it’s a relaxing place to stay, with 23 luxurious en-suite rooms, a fine-dining restaurant, a traditional pub, a coffee shop and a hair salon all within the premises. Take a sunset stroll: Wander around the quay, watching the colourful fishing boats arrive back into port. Then follow the footpath north for a gentle 10-minute walk up to St Saviour’s Point. Sit on a bench and look out at the stunning view over the Camel Estuary as the sky turns pink. If you arrive early enough in the day, you could continue for two miles as far as the Rest A While Tea Garden and sit outside with a restorative cup of tea (make sure you get there before they close at 5.30pm). Eat at: Prawn on the Lawn. Start the weekend gourmet feast at this down-to-earth bistro, which was named one of the UK’s Top 100 restaurants by the Times in 2017. The menu changes daily but may include small tapas plates of seared tuna, Porthilly mussels, local crab and oysters, and larger platters such as whole Padstow lobster. Have a drink in: Ruby’s Bar. For a memorable cocktail, try the bar next to St Petroc’s Bistro. Pull up a chair beside the open fire and drink a Ceylon Negroni, designed especially for Rick Stein. Visit: the award-winning Lobster Hatchery. Colourful claws guide you through the visitor centre, where you’ll learn about marine conservation. With interactive activities, a lobster “maternity ward” and live crustaceans in tanks, it’s a fascinating place. Shop: Browse the boutique shops around the harbour for crafts and gifts. At Poppy Treffrey, browse the products made by a team of local women, including bags, prints and stationery. Poppy also runs freehand machine embroidery courses. Lunch at: Greens of Padstow. This used to be a pitch-and-putt course but it’s now a modern café serving wholesome dishes, such as a ploughman’s made with local Davidstow Cheddar or crumbled goat’s cheese super salad. The mini-golf course has had a makeover by landscape gardeners and is reopening in spring 2018. 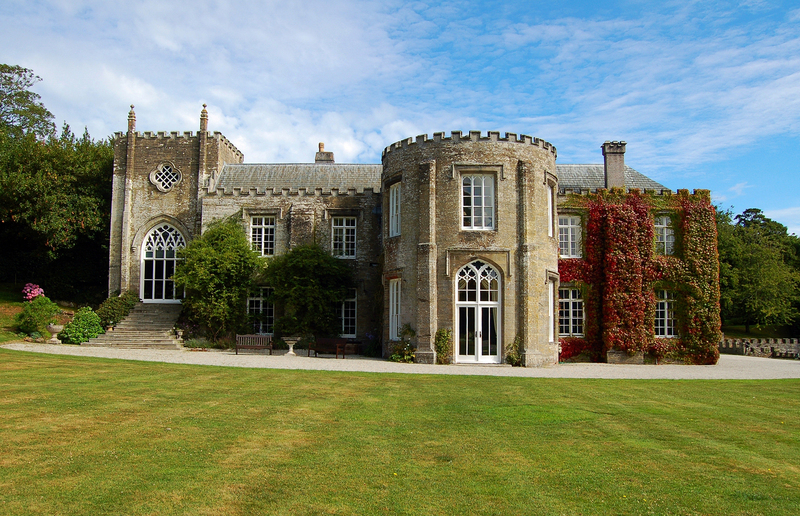 Visit: Prideaux Place, an Elizabethan manor house just north of Padstow featuring grand staircases, ornate ceilings, an 18th-century garden and a deer park with views as far as Bodmin Moor. The estate is a popular film and TV location, and the author of the Poldark saga, Winston Graham, used to visit here regularly. 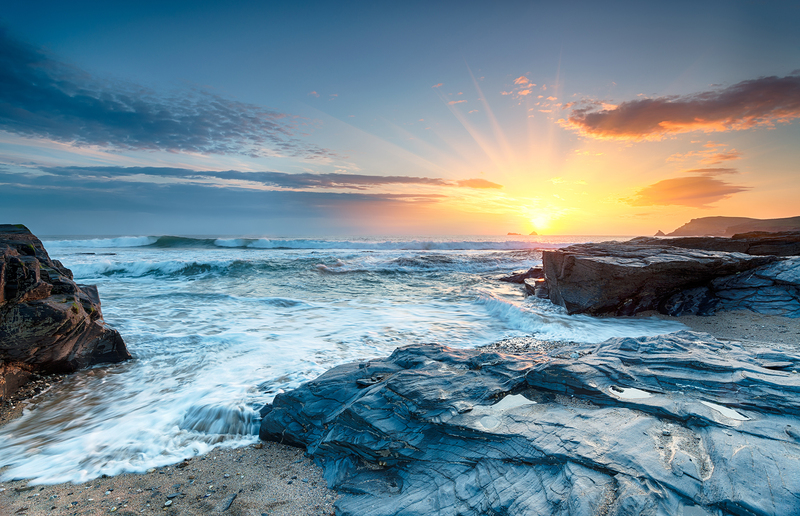 Some of the most dramatic scenes in the recent BBC series were filmed nearby at Stepper Point. See more Poldark filming locations here. Take afternoon tea at: Cherry Trees Coffee House. A visit to Cornwall wouldn’t be complete without a Cornish cream tea and this cosy café serves one of the best in town. Just make sure you leave space for your meal tonight. Have an early evening tipple in: Bin Two. This independent wine merchant doubles as a bar and café. Enjoy a Cornish wine while sitting outside on the terrace near the harbour. They also do a fantastic lobster roll and great coffee. Eat at: Paul Ainsworth at No. 6. The Michelin-star chef Paul Ainsworth has two superb restaurants in Padstow &ndash the other being Rojano’s in the Square. At this one in a Georgian townhouse hotel, the chefs create top-notch modern British cuisine, such as duck-fat roasted Dartmoor fallow deer and raw sea bream with sand claw slaw. Take the ferry: across the Camel Estuary to Rock (daily, every 20 minutes until early evening). Note that the ferry pickup point in Padstow can vary depending on the tide. This is to avoid the Doom Bar, a treacherous sand bank that’s said to be cursed by a mermaid where many boats have sunk over the centuries. Visit: From the ferry landing in Rock, you can walk along the beach to beautiful Daymer Bay. 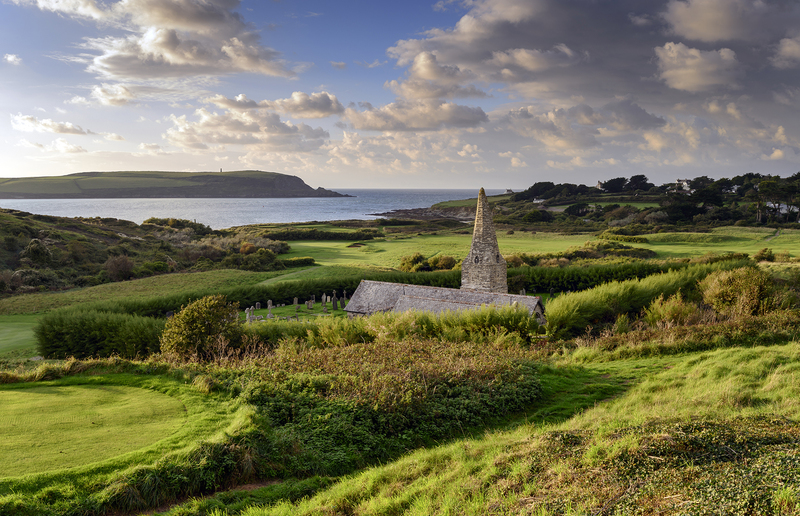 Look inland and you’ll see the bent spire of St Enodoc Church, an ancient chapel that appears to be sinking into the sand dunes. If you have enough time, you can walk to Polzeath and back (allow around five hours, plus browsing time in surf shops). Otherwise, wander through the sand dunes alongside the golf course back to Rock. Buy pasties at: Malcolm Barnecutt’s Deli Bakery in Rock. Barnecutt’s sells possibly the best pasties in Cornwall. Buy a takeaway pasty and a cup of tea, and have a hearty picnic back down on the beach. Drink in: The Mariner’s Public House while you wait for the ferry. On a fine day, sit on the terrace beside the Camel Estuary and choose from the selection of Sharp’s Brewery ales, brewed in Rock. Eat in: The Seafood Restaurant. Back in Padstow, finish off a top foodie weekend with another splash-out meal at Rick Stein’s flagship. Head chef Stephane Delourme creates beautiful dishes, such as steamed blonde ray from nearby Cadgwith and a classic lobster thermidor. Get active: There are plenty of ways to burn off the calories in the area. Hire bikes and cycle the 18-mile Camel Trail to Wenford Bridge via Bodmin; walk the coast path around spectacular Stepper Point; or learn to surf at Harlyn Surf School. 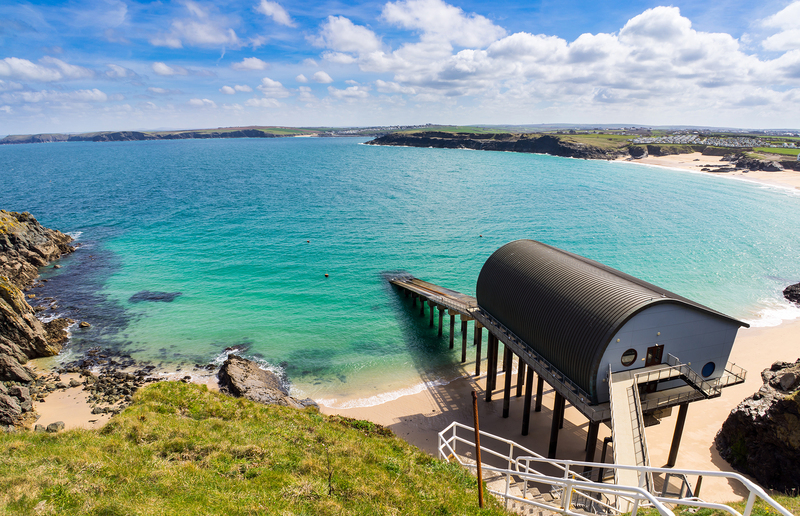 Visit: Spend an afternoon at any of the breezy Atlantic beaches near Padstow, particularly Constantine Bay and the dramatic Bedruthan Steps, or visit pretty Port Isaac where the BBC TV series Doc Martin is filmed. Drink: Take wine tours at Trevibban Mill or Camel Valley vineyards. Events: Return for the peculiar May Day celebration, Obby Oss, Padstow’s biggest event of the year.